In previous articles, I’ve addressed the question What Does Body Composition Mean?, showed you how to do Body Composition Calculations, and taken a look at Body Composition Numbers. On Wednesday, in Measuring Body Composition: Part 1, I took a look at some methods of tracking changes in body composition that, strictly speaking, don’t actually measure body composition. These include the mirror/photos, the good old scale, BMI, the waist/hip ratio and circumference measures. Today, I want to look at methods, some of which will be repeated from Wednesday, that allow actual tracking of changes in true body composition. That is, they can be used (to some degree anyhow) to estimate actual body fat composition which can then be used, using the method in Body Composition Calculations, to determine actual fat and lean body mass and track changes. For no real reason I’ll move from lower to higher tech (more or less) as I go examining body mass index, circumference measurements, underwater weighing, calipers, Bio-Electrical Impedance Analysis, Infrared Reactance, the BodyMetrix 200, Bod Pod and finally DEXA in terms of how they measure body composition. I talked about the BMI on Wednesday and mentioned, at least passingly, that it can be used to get a very rough estimate of actual body fat percentage. As noted, this can only be done for non-training individuals. 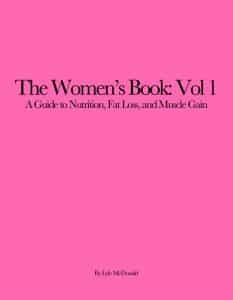 Anyone who has been training consistently will not find the BMI method (which can be found in both The Rapid Fat Loss Handbook and A Guide to Flexible Dieting) to be accurate. Again, ONLY non-trained individuals can use this method; anyone who has been training for any period of time must find another method. Attempting to use BMI to estimate body fat percentage will simply give drastically incorrect results. As I also mentioned on Wednesday, while circumference/tape measure measurements, are just as often used simply to track changes (e.g. I lost 4 inches on my waist), methods exist to use them to estimate body fat percentage. Many books use this approach because it tends to be simpler and faster than other methods. When large groups of people have to be tested (such as in the military), it also provides a quicker way to get a rough idea of where everybody stands. Now, somewhat surprisingly, some of these equations actually give decent estimates of body fat percentage. Not perfect, mind you, but as I’ll discuss in another article, no method is perfect short of full-body dissection (and you can only do that once). They will at least get folks within shooting distance. Now, the various methods and equations that use circumference measures vary quite a bit. Some of them use circumference along with weight/height, some use circumference measures with a couple of caliper methods, there’s a lot of variance. How accurate these various systems are tend to depend a lot on what sites are being used. This also varies quite a bit. One thing to consider is that, depending on the method, a large bone structure or heavy muscle mass can throw off the numbers quite a bit. I had a client years ago who had a particularly wide hip structure and one circumference method that used hips estimated her at a far high body fat percentage than she actually was (based on calipers). One equation uses the neck and I’m not sure how it can separate people with a lot of fat on their neck and folks who have built up a lot of muscle there. I think you get the idea. In any case, here are two circumference equations that seem to give at least shooting range estimations for body fat percentage. I’d note that the same caveats I gave for general circumference measurements apply here equally: if you pull your tape measure extra tight, you’ll get a low estimate. Don’t cheat. Underwater weighing is often described as the ‘gold standard’ for body composition measurement and, in some ways, I probably should have led off this piece with it. The reason is that underwater weighing is usually what’s used to determine the accuracy of other methods. So researchers will underwater weight a bunch of people and then measure their body composition in some other fashion (e.g. calipers, circumference, etc.) and that’s how they develop the equations for the other method. Basically, it’s assumed that underwater weighing gives the ‘correct’ value for body composition and the other methods are developed so that they give the same values. For a while underwater tanks were very popular and could be found in a lot of different places. Lately they are only found in performance labs at universities for the most part. There’s a reason for that which primarily has to do with the hassle involved in doing it. The basic premise of underwater (or hydrostatic) weighing is that ‘fat floats’. Ok, it’s a bit more technical than that but that’s the gist of it. Basically, different tissues in the body have different densities, and they will all have a relatively greater or less likelihood of floating in water. Very strictly speaking, underwater weighing is estimating what’s called body density, that is it tells you what the average density of the tissues in the body are, that goes into a separate equation that converts body density into body fat percentage. But that’s getting a little bit more embroiled in details than I want for this article. To get underwater weighed, you report to the lab in your bathing suit. First they weigh you out of water, then you get into the tank (filled with cool but not cold water). Then you breath out as much air as possible and then dunk your head under and let them weigh you again. The difference in your weight on land vs. underwater allows them to do a bunch of neat calculations and determine body density. However, there are problems with underwater weighing. One is that few can blow all of the air out of their lungs before dunking their head underwater (would you do it?). I suppose if you find the idea of suffocating fun, maybe. But for most people, some air will be left. This is actually pretty important as gas floats and air in the lungs will cause folks to be ‘lighter’ underwater. Amusingly, one study found that a big gas producing meal, containing beans, threw off the measurement. I guess beans really are good for fat loss. Even then, it’ s impossible to get all the air out. Humans simply can’t do it. So researchers use other methods to try to measure (or at least estimate) how much air is left but this just introduces another potential source of error. Some methods let you keep your head above water but this too reduces accuracy. Finally, relatively speaking, underwater weighing tends to be somewhat pricey; as noted tanks are usually only found in performance labs these days. Since you have to do at least two measurements to see if a diet is working, this can add up quickly. Unless you have a friend in the exercise physiology lab who can get you in cheap or free, I’m not sure that there’s much point. It might be useful to get a caliper measurement done and get dunked on the same day to see how close to reality the calipers are. But that’s about it. Possibly one of the most common methods for measuring body fat percentage are calipers. Calipers are small spring loaded devices that have been used for literally decades to measure body composition; given a few criteria are met, they are surprisingly accurate (that is, giving values similar to underwater weighing). As I noted on Wednesday when talking about the Waist/Hip Ratio, there are two primary places that fat is found in the human body, under the skin (subcutaneous) and in the gut (visceral fat) with something like 40-60% of the total fat being found under the skin. This is a big part of what lets calipers be fairly accurate: since you can get to the fat that is under the skin (measuring visceral fat takes more complex methods), you can measure it. That’s what calipers do. When making a caliper measurement, specific sites on the body are used and very specific methods are used to make the measurement. As with circumference measures, folks who worry about this stuff, spend a lot of time being very specific about where and how to take the measurements to get accurate results. The person doing the measurement pulls the fat away from the muscle so that the sides are parallel, and applies the calipers, which give the thickness of the skin fold in millimeters. Readings are taken after 2 seconds (this is important, if you wait longer, the caliper will squeeze water out of the area and give you an artificially lower reading). Three readings are taken at each site and they should be within one-two mm of one another. If they aren’t, the results won’t be accurate and the skin fold should be re-measured. Between readings, a short break is given to avoid squeezing water out of the area, otherwise you get progressively smaller measurements as you go. Anywhere from 3 to 10 (or more) sites may be measured to get an idea of total body fat percentage and distribution and, the last time I looked anyhow, a total of 19 sites have been described in various studies. Traditionally, the right side of the body is measured, I have absolutely no idea why this is the case. Typical sites include triceps, biceps, abdominal, iliac crest (love handles essentially), subscapular (underneath the shoulder blade), axilla (under the armpit), pectoral and thigh. You’ll sometimes see calf and chin or a few others in there. Perhaps the oddest skinfold site I have seen is the hump; apparently some of the HIV drugs cause a fat redistribution to the back of the neck and researchers are measuring the fat hump to track changes. Once the chosen number of sites has been measured, the numbers (which are in millimeters of thickness) are totalled and plugged into an equation, usually along with age. This cranks out body fat percentage. As I mentioned above, technically speaking, the equation spits out body density, which goes into a second equation to give body fat percentage. While you used to have to hand crank the values through the equation, there are many online calculators and here’s one of them that includes a bunch of different methods. You’ll note that on that page, a variety of equations using different numbers of sites can be found and there are pros and cons of each. Equations using more sites tend to be more accurate but give the person doing the calipering more opportunities to screw up. Equations using fewer sites are faster but can drastically mis-estimate body fat percentage if they don’t measure a place where a given individual happens to carry a lot of fat. So there are always trade-offs. In terms of equipment, calipers can vary massively in both range in price. Clinical models, as used in research studies, such as Lange and Harpendon will run to $200 and there are even electronic models such as the Skyndex which has the estimation equations built into them; those will run you about $400. I imagine everybody has seen the home versions which can often be had for $10 or so, they are often packaged with books because they are cheap. I don’t think they are very accurate though, slight differences in how quickly you squeeze the calipers can drastically affect the measurement you get. I do not recommend these even if they are super-cheap. My standard suggestion for people who want their own calipers are the Slimguide calipers which are about $30 from Creative Health Products (item C-120). I’ve had my set for over a decade now, they are indestructible and I’ve checked them against more expensive Lange calipers and they show extremely high accuracy. In terms of cost:accuracy ratio, I think these are the best. I’d note that, depending on the spring tension, all calipers can give slightly different measurements, although they are usually within a millimeter or two of one another. As long as you are using the same calipers each time, this is irrelevant; you’ll still get consistent measurements. In the hands of a trained operator, calipers are surprisingly accurate, giving values anywhere from 3-5% different from hydrostatic weighing. In the hands of an untrained operator, they aren’t very accurate at all. There are a lot of untrained operators out there and this causes problems (it’s usually suggested that someone do at least 100 measurements to get even remotely skilled at the method). Most health clubs and gyms, as well as a lots of other places, can do caliper measurements. Since caliper technique can vary quite a bit, it’s important to have the measurements done by the same person if at all possible. With the high turnover rate of employees at most commercial gyms, this can be tough to do. For that reason alone, I usually recommend that people learn to do at least some of their own skin folds. You won’t be able to reach all of them unless you’re a contortionist but the key skinfolds (usually abdominal and iliac crest for men and thigh for women) can be gotten to. As a final comment, caliper equations can be problematic at best, for reasons I sort of glossed over above in the section on underwater weighing. A lot of assumptions are being made about things like body density that aren’t turning out to be that correct and this can cause the equations to throw out some strange values. It’s not unheard of for athletes to come up with negative body fat estimates; this is just a consequence of the equations being wrong for them (researchers are constantly developing new equations for this reason). A current trend is to simply use the sum of skin folds and look at changes. If your skin folds are going down, you’re losing fat; if they’re going up, you’re gaining fat. Depends on what the specific goals are, trying to put specific body fat numbers to that may or may not be valuable. BIA is another popular method for measuring body composition; much of this has to do with it being fairly easy to measure. Unlike calipers, it doesn’t require training and since it’s high-tech (looking anyhow), people tend to put a lot of stock in the results. Gyms will often use BIA methods, they can be found at all kinds of health fairs and, as I mentioned on Wednesday, there are now scales (such as the Tanita) that use BIA to give body fat estimates. BIA is used in some research studies as well. Basically, BIA is quick and easy. Yes and no. If strict hydration protocols are adhered to, BIA is actually reasonably accurate. The problem I see is that, in the real world, these protocols aren’t followed and this will throw off the measurements completely. To understand why, I should probably actually explain how BIA is done and what it’s measuring. A typical BIA machine will have an operator attach one electrode to the back of your hand and one to your foot, there are also hand-held models where you just hold onto two handles, the scales obviously run through your feet. Usually some data is entered such as age, height and weight (some will let you choose from athlete or non-athlete and give different results depending on which you pick) and then the machine runs a current from one electrode to the other (no, it doesn’t hurt). BIA works by estimating total body water. Now, water is conductive, that is electricity can move through it (if there are minerals present) and different tissues such as bone, muscle and fat all contain different amounts of water. So by measuring how fast the current moves from one electrode to the other, BIA machines can estimate how much water is present in the body and use that to determine how much fat, muscle, etc. you have. Or at least that’s what it is trying to do. And that brings in the problem I mentioned above: hydration state can throw off BIA tremendously. Both dehydration (as might occur when carbohydrates are lowered) or hyper-hydration can throw off BIA completely. Even a large urination or a big glass of water can throw off a BIA measurement by a few percentage points. So unless you’re following those strict hydration protocols, BIA can be terribly misleading. If you’re slightly differently hydrated from the last measurement you took, what looks like an actual change in body fat percentage may actually just be a difference in water balance. Now, in BIA’s defense, assuming someone kept their hydration state constant (i.e. measuring themselves every Monday after urinating but before breakfast), BIA may give at least comparative measurements. Just make sure you always measure under consistent conditions. While rarely seen anymore, IR had a brief stint in the sun, mostly at health fairs and some gyms. Originally developed to measure body composition in cattle, IR worked by bouncing a beam of infrared light off your upper arm bone and seeing how long it took to get back. Since infrared light travels faster through muscle than fat, the machine could estimate how much fat you had. Since it only measured the biceps (upper arm), it was quick and easy. It was also pretty inaccurate. I can’t recall ever measuring anybody who had a lot of fat on their upper arm so that one measurement won’t tell you much about the rest of the body. When measuring cattle to determine price at slaughter, a few percentage points aren’t that big a deal. For humans, I consider IR unusable and do not recommend it. In a related vein to Infrared Reactance, I should probably mention a new method of measuring body composition (someone asked about this in the comments section of Wednesday’s article) which is the BodyMetrix 2000. Using ultrasound, the BodyMetrix claims to measure the thickness of fat, apparently using the same sites that are used for standard caliper measurements. I’ll be 100% honest that I can’t say much about this; the entirety of my knowledge comes from what information they have on their site. I’ve seen no validation data (they have a few PDF downloads on their site including ones showing good correlation with caliper data) and never seen nor used one. The Bodymetrix device is far more expensive than calipers but if it avoids some of the inherent issues with caliper methods (operator accuracy, etc.) this might be a worthwhile tradeoff. While it seems too expensive for home use, it wouldn’t surprise me if health clubs and such moved to this if it turns out to be accurate. One of the recent high-tech developments in body composition methods is the Bod-Pod; essentially this is a dry version of hydrostatic weighing. The Bod-Pod measures how much air you’re displacing, measures body mass and body volume and uses that to estimate body density and body fat percentage. To be honest, I’ve never seen one of these in the real world and they are exceedingly expensive. The Bod-Pod site doesn’t even list prices and you know the rule…if you have to ask. Anyhow, I’m not sure anybody would ever actually come across a Bod-Pod outside of an absurdly high-end health club or research center. I mention it only for completeness. DEXA is another high-tech method that, recently, has become more prevalent and at least affordable. DEXA basically does a full body scan from head to toe; it’s primary use has been to examine changes in body density. But it also does a good job of measuring body composition since it’s able to differentiate between bone, muscle and fat tissue (because of how each absorbs the X-rays). One neat aspect of DEXA in terms of body composition is that it will give you a measure of regional body composiion (it will also measure visceral fat which none of the other methods can do). That is, it will tell you if you carry more fat in the upper body, legs, arms, etc. Then again, so will caliper or looking in the mirror and they are both a lot cheaper. DEXA scans have come down in price considerably, however, and they might be useful to correlate a method such as calipers or the circumference equations. That is, go drop the cash for a DEXA and either run a set of caliper measurements or one of the circumference equations and see how the simpler/cheaper/faster methods correlate in terms of accuracy. It would be ideal to do a second set of each after some time on your diet simply to see if the simpler methods are also tracking changes with decent accuracy. If so, you can just use the simpler methods from then on. That’s actually easy, full dissection. Let a medical school cut you up, separate everything out and weigh it. Bingo, now you know your exact body composition. Unfortunately, you can only do it once and it won’t be very useful to you since you’ll be dead. Moving away from that, all methods have their own inherent pros and cons. Calipers are cheap but require a trained operator, BIA is quick and easy but can be thrown off drastically by hydration state, DEXA is accurate as hell but expensive. Which is best? That depends on the applications. In a future article, I’ll address some of the problems with body composition measurement along with giving some specific recommendations on what method (or combination of methods), I think are best for different applications.